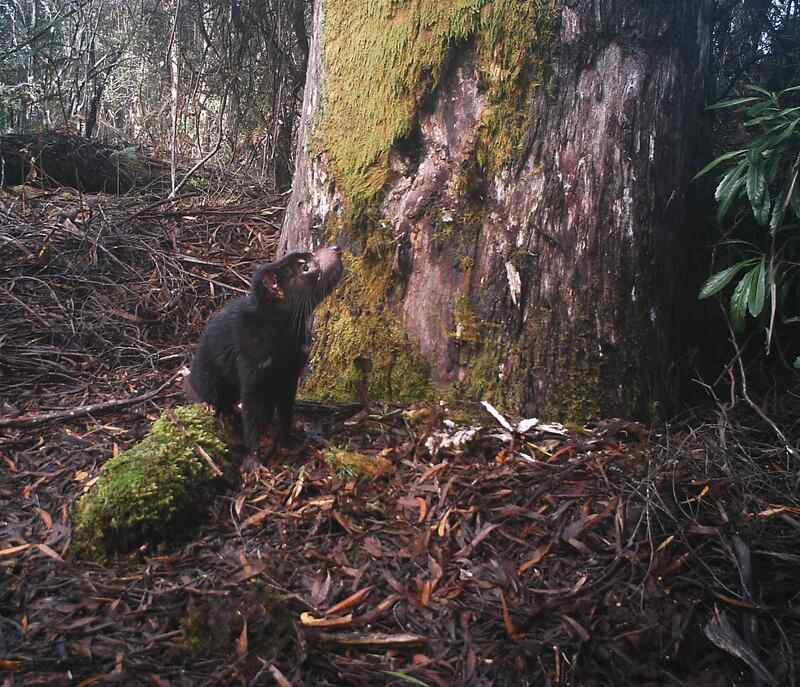 This logging coupe is located in the Pieman area of north-west Tasmania. This magnificent forest is part of the core area of 430,000 hectares that was promised protection as part of the Intergovernmental Agreement. A section of this 48 hectare coupe has been logged, with an additional area scheduled for this year. This area also falls within Venture Minerals’ proposed strip mine site. Volunteers from Code Green have conducted fauna surveys using remote sensor cameras. These produced evidence of healthy Tasmanian devils in this coupe. It was also identified by the Independent Verification Group (IVG) that conservation of this particular area would make a “high contribution across a large range of fauna species” (i). The area is important habitat for grey goshawk and azure kingfisher (ii). Its waterways are home to freshwater hydrobiid snails (iii) and giant freshwater crayfish (iv). The IVG reports also assessed priority flora and found that the “proposed reserves substantially improve the protection of a range of priority flora species (62 vascular flora species, 2 lichens)”. The area in which this coupe is located was one of seven areas that were listed as “very high” priority for flora conservation. These areas “would make an outstanding contribution to the CAR Reserve system and the National Reserve System of Australia and will help to address deficiencies in the representation of threatened flora in the reserve system” (v). Two species identified in this forest that are of high priority are Epacris glabella and Micrantheum serpentinum. Epacris glabella is an endemic Tasmanian shrub listed as endangered under both the Tasmanian Threatened Species Act and the federal Environment Protection and Biodiversity Conservation Act. This species occurs in the north west of the state, with 6 known locations across a geographic range of 150kms (vi). Micrantheumn serpentinum is another endemic Tasmanian shrub that is listed as rare in the Tasmanian Threatened Species Act. The IVG report stated that there were many observations of this species in this area. The species is estimated to have only 8-9 populations, in an area of 245km2 (vii). 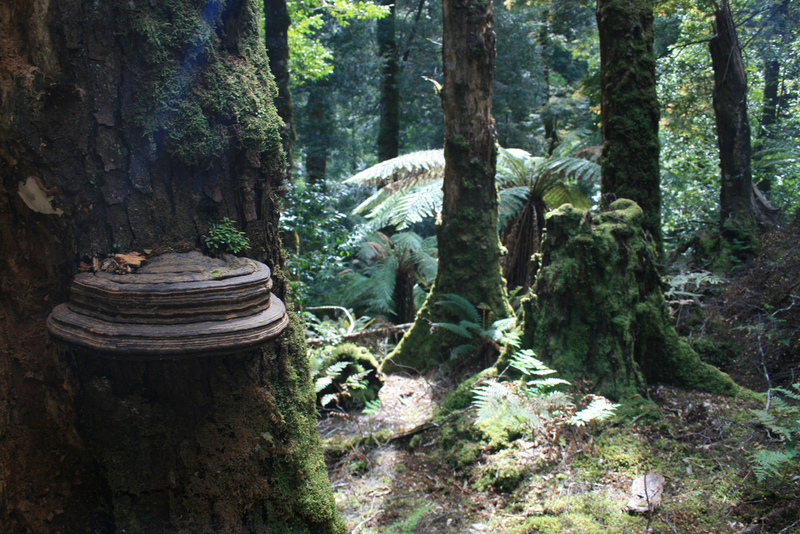 This spectacular forest has been recommended for protection in the proposed Tarkine World Heritage Area (viii). (i) Independent Verification Group (2012) Validation of the ENGO proposed reserves for the conservation of priority fauna species on public forest. Unpublished report of the Independent Verification Group for the Tasmanian Forest Agreement, Hobart, p.22. Posted on July 26, 2012, in A Forest A Day. Bookmark the permalink. Leave a comment.